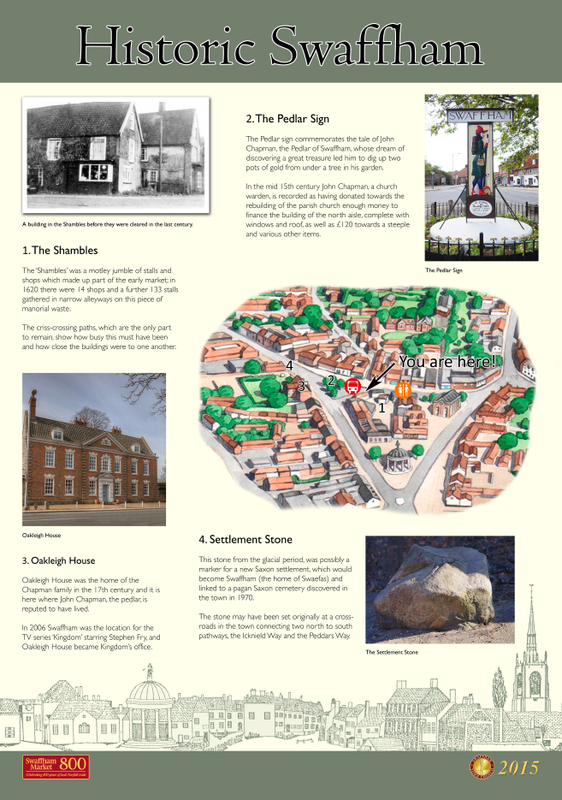 The Historic Norfolk town of Swaffham has had an interpretation signs make-over with 9 panels utilising our 13mm ecoDURA. 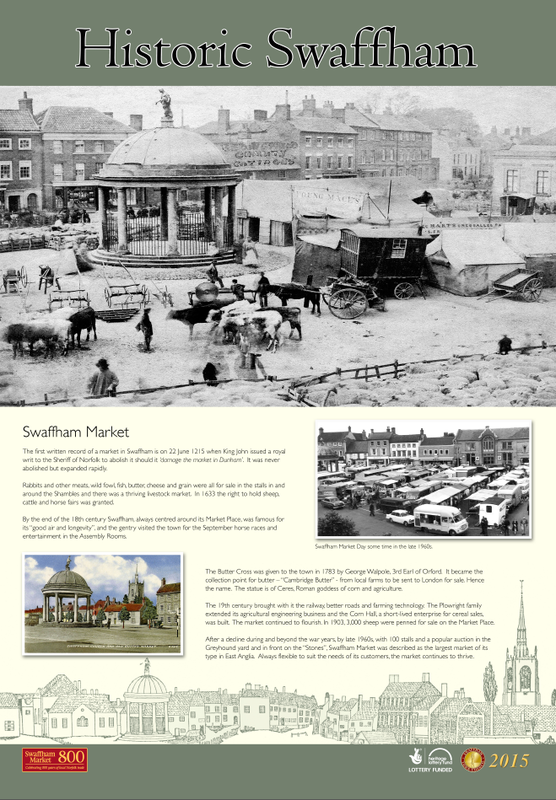 Swaffham as a permanent settlement did not exist until Saxon times, after the Romans left this country to defend Rome from the barbarians. There is evidence, such as stone implements and tools dug up in this area to suggest that it was inhabited 300,000 years ago. Further discoveries of weapons and tools excavated which give evidence of human existence in the area during the Bronze Age and the Iron Age. 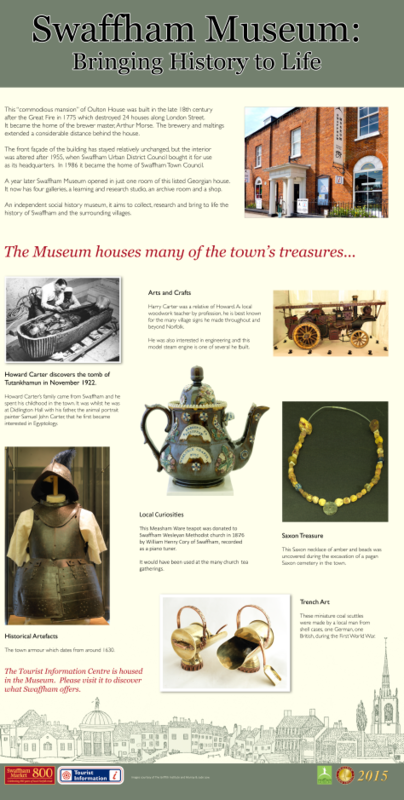 Some of these artifacts can be seen today in Swaffham Museum. 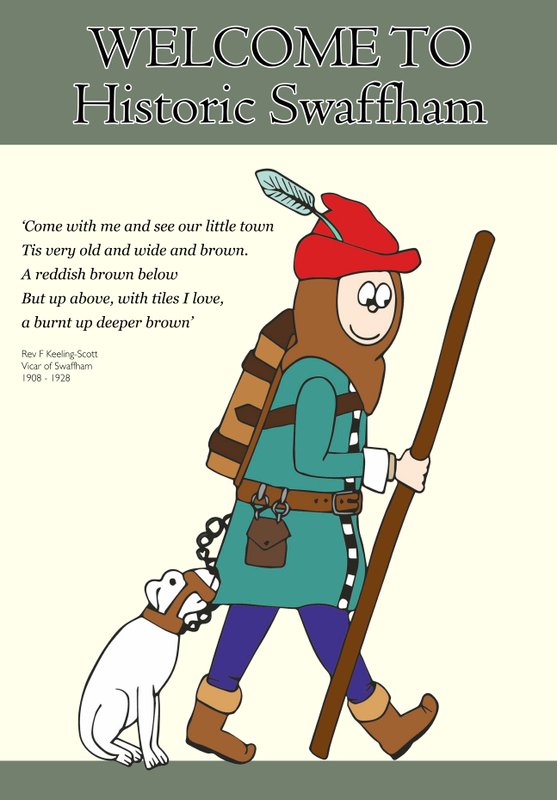 The legendary Pedlar of Swaffham was a local man who dreamt that if he stood on London Bridge he would hear great news. On the bridge a man mocked him, saying that if he believed in dreams he would be in Swaffham digging in a pedlar’s orchard, where a fortune in gold was buried! 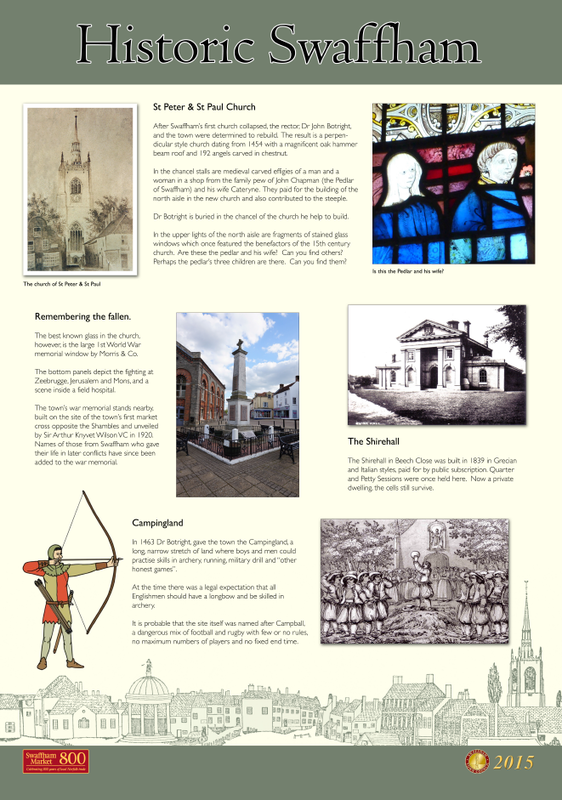 Look out for the Pedlar on the town sign and in pew carvings in the local Church. 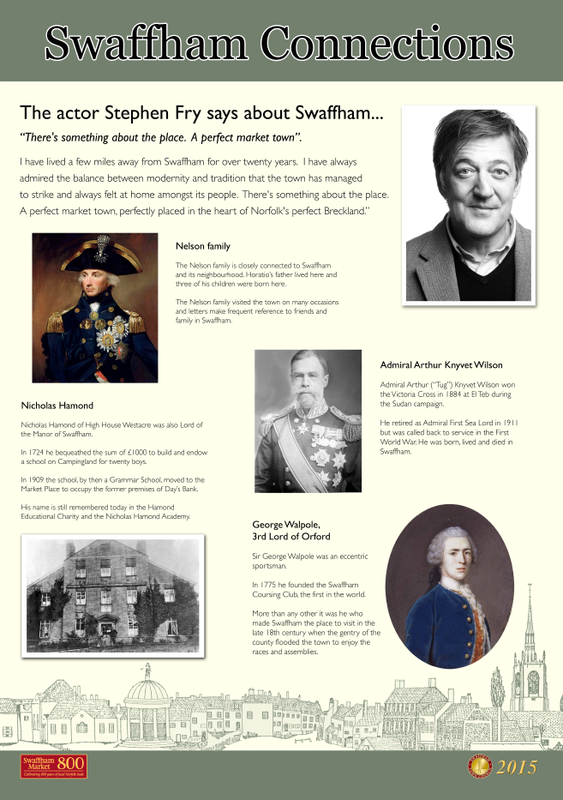 Another famous resident of historic Swaffham was Howard Carter, the Egyptologist who discovered the tomb of Tutankhamen. Carter’s story is told in the entertaining museum found on the square. The striking church of St Peter and St Paul stands just off the market square. It has a superb double hammer beam roof with carved angel decorations. 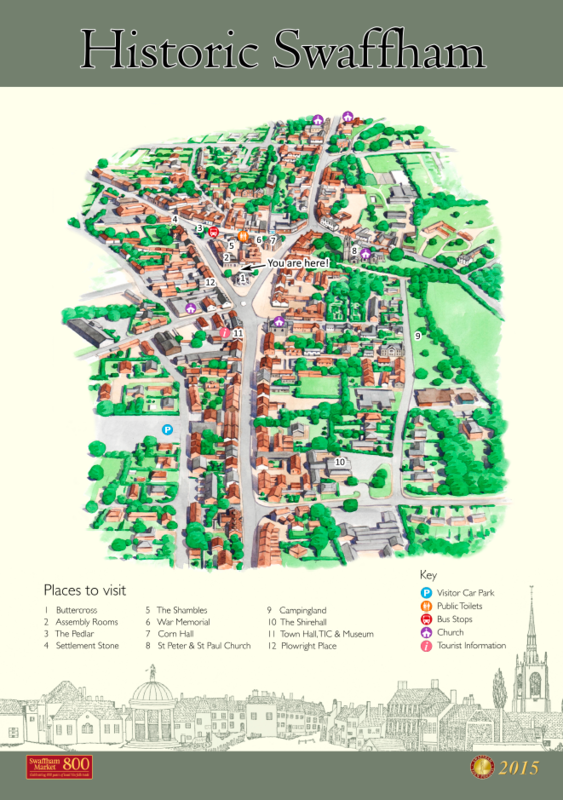 The following panels are visible around the towns locations….